LANGENFELD, Germany--(BUSINESS WIRE)--The German based contract developer and contract manufacturer for transdermal patches and oral films moves closer to their customers and partners in the United States. The new representation is based in New Jersey. “We believe that individual product solutions can only be designed in close collaboration with our customers!” states Dr. Helge Lubenow, Managing Director of tesa Labtec GmbH. 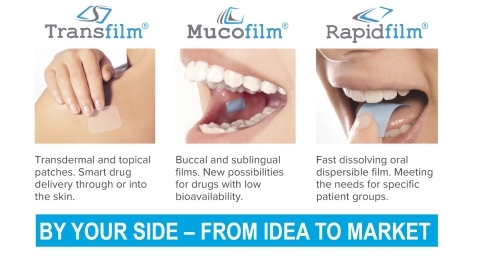 tesa Labtec provides for over 25 years end to end services for high quality patches and oral films made in Germany. Europe, Canada, Australia and Israel have been in focus in the past – the first US launch is expected to incur in 2019. Sales & Business Development Manager Dr. Ahmad Ghoniem is looking forward to represent the drug delivery CMDO in the United States. He is supported by an experienced team of colleagues from Project Management, Sales and Marketing, always BY YOUR SIDE. tesa Labtec GmbH is a 100% subsidiary of tesa SE and belongs to the Beiersdorf group of companies.